Made for riders by riders. The new adjustable steering system is the last one you will ever need. It is adjustable from -2.5" to -3.5" and incorporates a unique large stainless steel thrust bearing. The steering cable arm/pivot is adjustable to provide the smoothest steering response and allows the rider to fine tune the desired amount of "quick-turn". 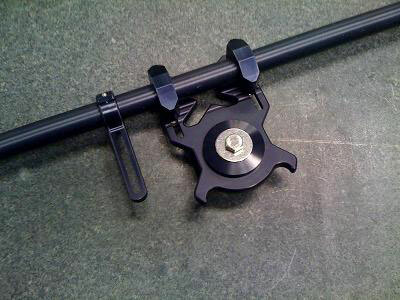 This system does not discriminate, it works on Yamaha and Kawasaki (Kawasaki use requires aftermarket handlepole). Comes complete with black or silver straight bars.